Sao Paulo has one of the best restaurant of the world: D.O.M. D.O.M. 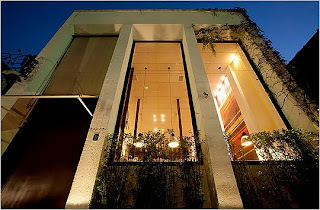 got the 18th position in the ranking of the 50 best restaurant of the world. D.O.M. is run by the Brazilian chef and former DJ, Alex Atala. He works by transforming classic, traditional Brazilian dishes by adopting the French and Italian cuisine's techniques and, at the same time, using indigeous Brazilian ingredients. The 2010 list was announced yesterday in London. 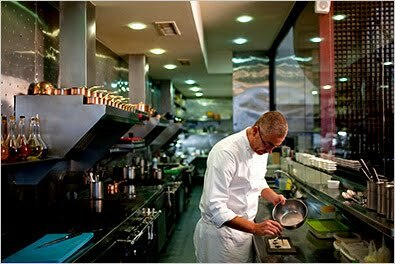 The restaurant of Alex Atala jumped six places compared to 2009 and it is the only South American in the ranking. The biennial pavilion in Ibirapuera Park is already crowded. The sixth edition of SP Arte begins today, 80 galleries will try to catch the attention of collectors and guests with 2,500 pieces of art until next Sunday. It is occupying 7500 meters square of the ground floor and first floor of the building and it is featuring 70 national galleries (the most important of the country) and 10 foreign (for the first time, England and Mexico) - it is expected that sales this year will be even better than in previous ones, as the natural movement of consolidation of the event. 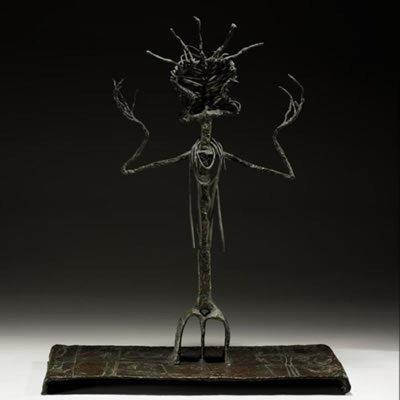 The most special work is th "Tamba Tajá," of Maria Martins made in the 40s, valued at R$ 1.5 million, it is the most expensive part of SP Arte and it can then return to the collection of Malba in Buenos Aires. 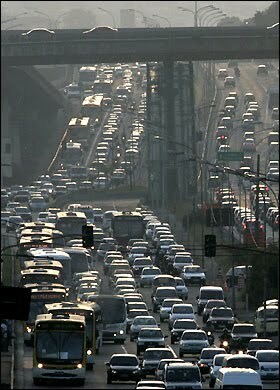 Sao Paulo city must recycle more! The city of Sao Paulo will have to put recycling bins throughout the city within one year. This was an order made by a judge, but the city Mayor can turn to the Court of Justice. The problem now in the city is that the collected garbage use to be process as common garbage and it is hardly recycled. 35% of the garbage collected to be recycled is actually just brought to a common garbag dump, so the job made by the citizens is totally not useful. 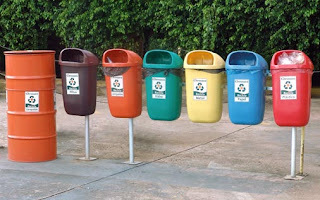 Nowdays there are 16 centers for recycling working in the city. Let's make them work. 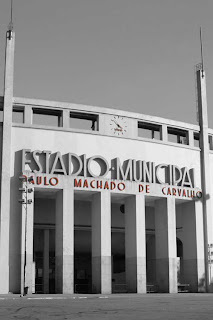 Today, April 27th, the stadium Pacaembu in São Paulo is 70 years old. 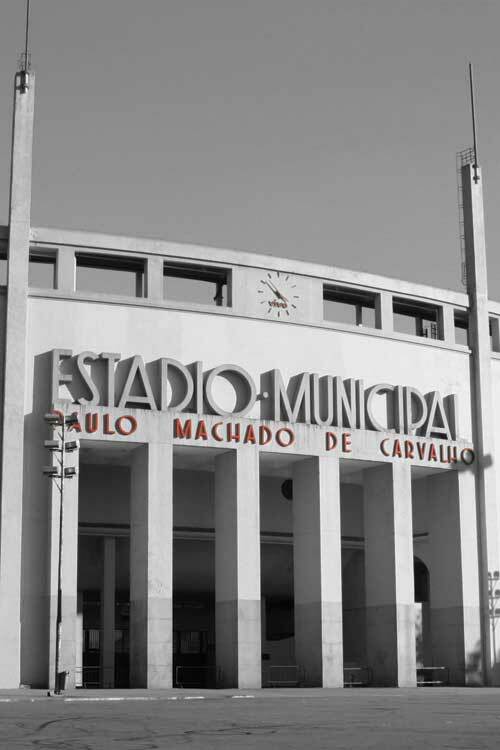 It was originally built to be the biggest of the country (Today is the Maracana, in Rio de Janeiro). It is located between two nice suburbs of the city, Perdizes and Higienopolis. 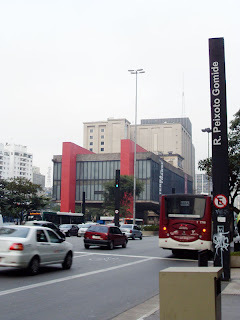 It is a place to visit if you are spending some days in Sao Paulo, even because the Museu do Futebol is located there. If you are an inline Roller Skate mad, there is a place to be in Sao Paulo. The Ibirapuera Park has a huge and flat floor under the Grande Marquise (the great marquee) inside the park. There is a group practicing regularly every weekend and they are welcoming with beginners. 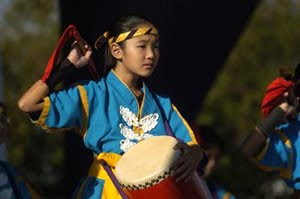 As you can see on the video above, they are really skillful and bring their own devices to practice for several hours. According to them, it's possible to practice even when the marquee is crowed. No worries if you are a beginner. Even if it can seem hard to integrate with this skillful team, they can reserve some cones and teach something for those interested to learn. But if you want to have some classes of inline roller skate, you can seek for Corvo (Crow). He is famous around there for helping people to learn some quick tricks. Despite not speaking any English, he already has taught some foreigners. "Body language is enough" according to him. The price must be arranged with him. A good deal is possible, if you apply bargain skills. Give a step at Ibirapuera Park if you are up to learn or practice a little bit of this interesting sport. Ibirapuera Park is also famous for hosting lots of sport meetings, not only on weekends. Every day there are plenty of groups practicing any sort of technique, ranging from Yoga to Capoeira. Go over there and try to find what better fits your fitness mood. Cat Power will be playing at the Bourbon Street Music Club, on May 26, to about 400 people. It´s a good chance to stop and listen to details or to get a little bit closer to the singer, since this is supposed to be a space with great structure and acoustic. Cat Power will also be playing during the Virada Cultural Paulista in Jundiaí (22 of May) and São José dos Campos (23 of May), and the entrance is free. 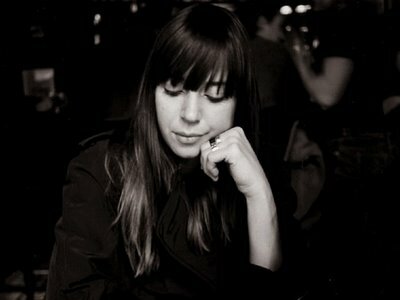 Charlyn Marie Marshall is the real name of the singer known as Cat Power. In 1992, very young, she decided to leave high school and move out from Atlanta to New York where her first presentations happened. In 1996 the albums "Myra Lee" and "What would the community think" were released and her history with music began. She was, since then, recognized by her honest, deep and stunning songwriting as well as her creative interpretations for cover songs like "Satisfaction" (Rolling Stones) and "I Found a Reason" (Velvet Underground). Some of the best from Cat Power can be found on the albums "The Greatest" and "You Are Free" but if you are in São Paulo you can check on how this Indie Rock singer/songwriter sounds in three different ocasions. Enjoy! When: May 26th, at 10h30pm. How Much: R$ 125 a R$ 270. To buy your ticket call +55 11 5095-6100 or go to the Bourbon Street Music Club from Monday to Friday, from 9am to 8pm. Lovers of Japanese culture should attend the Nikkei Matsuri Festival, which is happening today Sunday 25th at the Clube Escola Jardim São Paulo, beside the subway Jardim São Paulo. The activities are scheduled to take place from 10am to 8pm, with performances of folk dance, Japanese drums and music shows. The site also hosts martial arts groups, such as kendo and Ninjitsu. Children can participate in workshops of kirigami (cuts made on paper), and the cosplays (fans who dress like their idols, comics and anime) will be there too. Of course food is the main attractive of the festival and who wants to have a haircut at popular prices can browse the network hairdressing Soho Hair International which will be on site. Since the night of April 21st, when Brasília completed half a century, the external wall of the Conjunto Nacional, Avenida Paulista 2073, was lined with a video projection of 78 images taken by the French Marcel Gautherot. Born in Paris, but in Brazil since he was 29 years old, when he came to live in Rio de Janeiro, he recorded the birth of the new capital at the request of the architect Oscar Niemeyer. 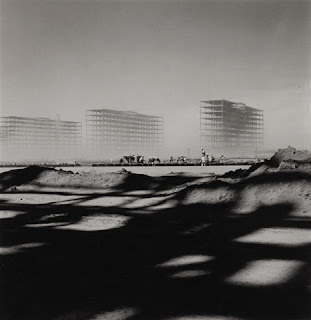 Gautherot, which would complete 100 years in July, was a kind of official photographer of the genesis of Brasilia. Between 1958 and mid-'70s, the Parisian who crossed the Atlantic used to spend a lot of time in Brasilia following the builders and he made more than 3000 photos of the saga of the construction of Brasilia. Focused on the traits of the city he did not forget of documenting the human side of the epic. The projection will occupy a wall of 35 meters long and 6 meters tall. The images will alternate in the wall of the building continuously until April 30th, from 19 to 5 hours. The event will celebrate the centenary of the national icon of the samba. The artists on stage will sing classics songs like Trem das Onze. The next April 25th the city of Sao Paulo will host a big celebration in honor of one of the leading names of music of Sao Paulo. 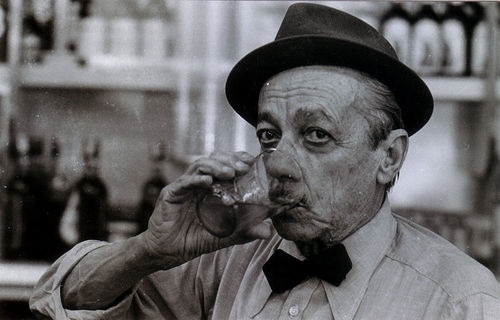 Adoniran Barbosa, who would have turned 100 years in 2010 will be remembered by artists like Arnaldo Antunes, Demônios da Garoa e Jair Rodrigues, among others, on a show with free entry on the stage outside of the Ibirapuera Auditorium. The event starts at 11am. If you have just moved to Brazil or you are traveling around our country this is a good event in order to get to know better Brazilian culture and a big traditional artist. The cold weather could be back during this week end starting from today, Friday, 23. 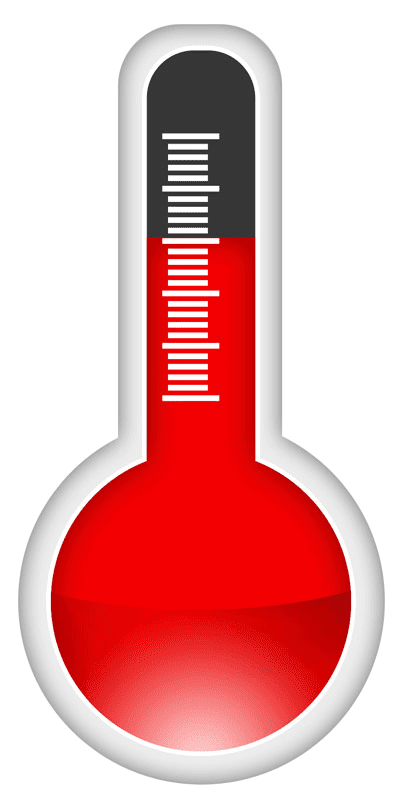 The state capital have been facing hot temperatures and low relative humidity since 12 days. According to the Center of Emergency Management (CGE), the cold front intensifies especially between afternoon and night and the rains must have strong intensity. The risk of heavy rain in some neighborhoods is not dropped and the rains should be accompanied by gusts of wind, depending on the heat and sultry weather. On Saturday, the weather gets rainy and temperatures should not exceed 23 ºC. The winds are blowing from the sea towards the continent, leaving a greater sense of cold. On Sunday, the weather still gets a lot of clouds and rains and isolated. Don't forget to keep in mind these suggestions of the meteorologist when planning your week end and follow our tips on what to do on Saturday and Sunday. 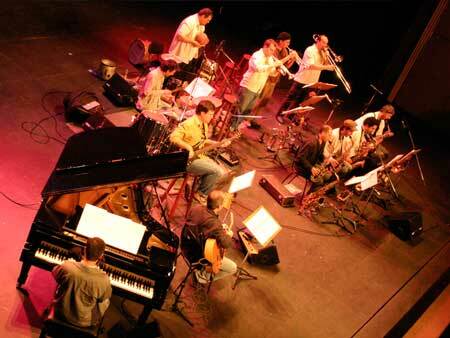 The band "Grupo Comboio" will play on April 25th in the Museu da Casa Brasileira With trials in a border area between jazz and popular Brazilian the band features some music written by its 12 members. 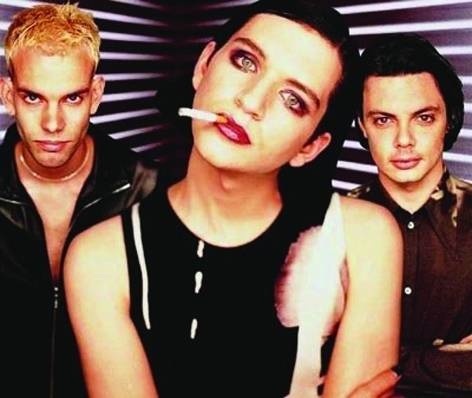 The concert will be a sort of panorama of the group's career. At the time of its creation, the band's goal was to practice improvisation and arrangement. After several investigations and musical experimentation, the group reached its own sound identity. Currently, the "Grupo Comboio" continues toward the research, aiming to find new sound possibilities in a border area that encompasses jazz, Brazilian folk and formal experimentation. If you are planning to visit the Paulista Coast on the next days, you might know that last week three more cities — Caraguatatuba, São Sebastião and Ilhabela — have declared to be facing a dengue epidemic, bringing to eight the number of municipalities that have confirmed outbreak in the region this year. These numbers are confirmed cases, mostly local. Municipal governments said they will strengthen services for prevention and treatment to curb the spread of the disease. 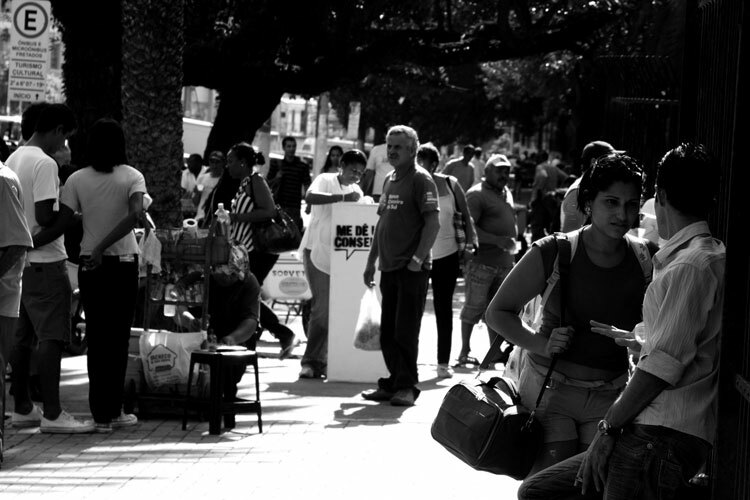 Besides these towns, Santos, São Vicente, Cubatão, Guarujá and Praia Grande had already decreed epidemic. The region is the main responsible of "exporting" dengue to the city of São Paulo. Among all the 547 cases "imported" recorded by São Paulo city until April 7th, 46% were taken in three cities: Guaruja, Santos and Praia Grande. Nowadays, the capital has 1288 cases. Thiago Honório is an artist born in 1979 on the Brazilian Northeast region who lives and work in São Paulo. Trying to understand his style is not an easy task. Currently he organized an exhibition at Gallery Virgilio using two floors of the gallery. Once on the ground floor is an image of a solitary head "floating" on a mirror's structure that appears as on the photo. On the second ground, the exhibition introduces a serie of objects, including ox horns, magnifying glasses, mirrors, leather hares, and so on... Thiago aims to create an interaction between the art and the public. That is the proposal. When: Monday to Saturday, from 10am till 7pm; Saturday, from 10am till 5pm. The exhibition ends on May 5th. The Whisky Festival Cinema is a great idea to rise the temperature that is getting down day-by-day. 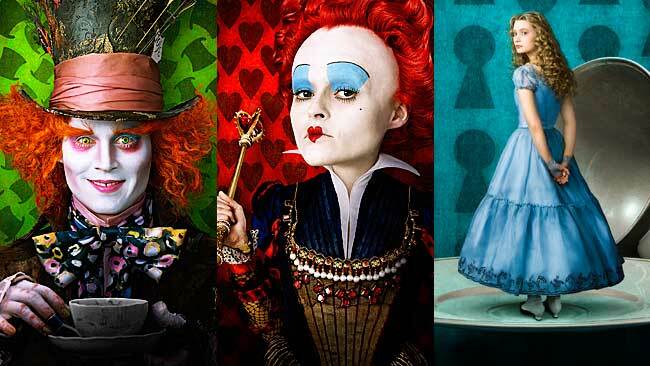 Until May 27th, every Thursday, the Cinema Belas Artes show films related to Scotland. Between a session to another, it's possible to sip a little bit of whiskey at the bar you from the foyer of the cinema, while the DJ roll sound. But the best part is that the ticket entitles you to have a shot of whiskey. When: Every Thursday at noon. The Festival ends on May 27th. How much: R$ 4 (you have to be 18+). The Decora Etna brought together the best architects and interior designers in a place that offers over 25 solutions for your home and office, whatever your style is. There is always a question about your house: How to make my place comfortable and well decorated? Last week began Decora Etna. The megastore invited several architects from Sao Paulo to set 24 places using products of the store. The spaces will be exposed for three months to inspire your imagination without harming your pocket. When: Monday to Saturday, from 10am till 10pm; Sunday, from 11am till 8pm. Sao Paulo received more than 25 traffic surveillance radars that will work on the streets of North and West areas of the city. The decision was published in yesterday's edition of the "Diario Oficial" and the radars are already working, according to the advice of the Municipal Transport. The measure has the aim, among other factors, to improve the traffic and educate the drivers, in addition to the safety of users. Last year, traffic fines had already hit a record in the city and those related to high speed rose to 70% due to this more stringent control. Additionally, these radars have more functions (besides the speed, they check drivers who don't stop at the red light, invasion of bus lane and even prohibited u-turn). In 2009, the CET has raised about R$ 40 million per month with fines. This revenue is used for the company's own expenses and partly for the maintenance and deployment of more radars. 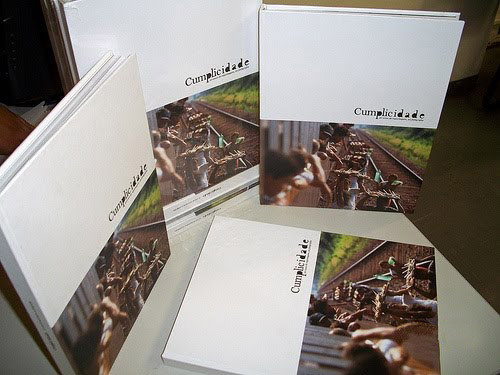 Starting from today the Mercado Municipal will host a book exposition. New editors and bookstore will expose their new and old book at interesting prices. It will last until April the 30th. Definitely a different way to know the famous Mercadão. 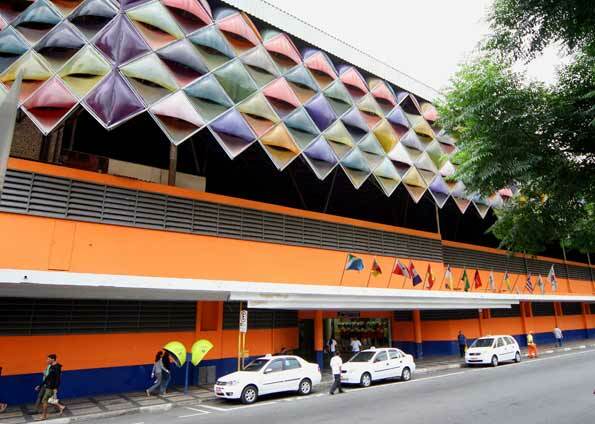 The building, which served as the bus terminal between 1961 and 1982, will be transformed by 2014 into the Dance Theatre of São Paulo. The terminal received up to 2,500 buses per hou. Criticized for bringing crime, pollution and drug dealers since its inauguration on January 25th, 1961, the old bus station in São Paulo, opposite Praça Julio Prestes, began to be demolished at the end of March. The demolition is the first step toward building the Cultural Complex Luz, which will host the Dance Theatre of São Paulo. The demolition should be completed in October and the works will begin in January 2011. The expected opening of the complex will be in 2014. The old terminal, closed in 1982 and whose building was expropriated in 2007 for R$ 34 million, was the scene of controversy. Since the first month of operation it was registered an immediate increase in crime in the region. A television, a rare piece in the homes of the 1970 Sao Paulo, also stood out in the old terminal; as one of the first public places to receive this equipment, the building often attracted people that just wanted to watch football matches on TV. The Cultural Complex Lux - whose project, designed by foreign architects, was criticized by the Institute of Architects of Brazil (IAB) and was subject of controversy with the Ministry of Culture - will have three theaters, the largest one with a capacity of 1750 spectators, and will host the headquarters of the Dance Company. There will also be dance school, library, auditorium, cafe, shop, square and parking for thousand vehicles. The number of cases of robbery in the capital fell 29.6% in the first quarter of this year compared with the same period last year. The improvement of the most serious of crimes against property occurs at the same time that theft in general and theft of vehicles experienced the biggest drop since 2008 in the city. From 2000 to 2009 the homicide rate fell 70% in the city, but the theft had not followed this trend. Cases of robberies are concentrated between dusk and dawn (68% of cases), more than half of crimes occurred in January (52.6%) while February and March were about at 25% each. 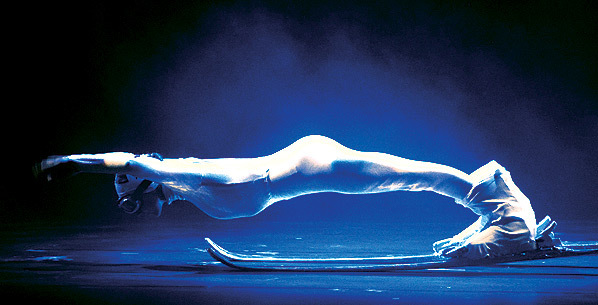 The Italian company Kataklò will be on the stage today and tomorrow at the Teatro Alpha, at 21h, the show "Play" brings a strong sport inspiration. Under the guidance of Giullia Stacciola, the group uses elements like bars, rings, balls and tennis racquets to compose choreographies, which simulate different sports. On the road since 1995, this is the company's second time in the country - the first was in 2004. The Kataklò is known for open sports events, including the Olympic Games in Sydney (2000). 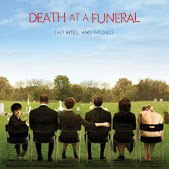 When: Today and tomorrow (April 13th and 14th) at 9pm. 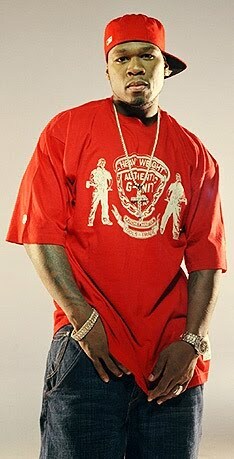 The Rapper 50 Cent announced on his website that he will be in Brazil on July. He didn't mention the cities yet, but the tour passes through the states of São Paulo, Rio de Janeiro, Minas Gerais and Goiás, on days 13th, 14th, 16th and 17th respectively. The singer ended last weekend, an extensive tour in Europe, which began on February 23rd. The New Yorker Curtis James Jackson III (his real name), was discovered by Eminem in 2002. The following year he released 'Get Rich or Die Tryin ', which introduced the songs "Wanksta," "In da Club", "21 Questions" and "PIMP". It was the beginning of a controversial career, full of fights with other rappers, shootings and passages followed by police. This year he'll be here in Brazil. The ticket sales has not been announced yet. Pillow Fight 2010 happened on April 3rd and it didn't end at the Vale do Anhangabaú. The fight also happened inside the Metro as you can see on the video made by gnomoweb. Check it out! Brand new Museum will be opened this Sunday at Ibirapuera Park. Check it out! This Sunday (April 11th), the Ibirapuera park will receive a brand new museum in its internal area. The "Brazilian Pavilion of Cultures" will be in the old "Engenheiro Armando Arruda Pereira," building with 11 thousand square meters designed by Oscar Niemeyer in the 1950s. It was there that the first Biennial took place in 1953 before becoming the building that hosted the Prodam (Data Processing Company of São Paulo). The building is now a museum again and it hosts the exhibition “Puras Misturas” (Pure Blends), where visitors can experience part of the museum - it includes pieces of high art, popular and indigenous acquired by the Municipal Culture Department and also from several other public collections. Anxious to celebrate the richness and the diversity of the Brazilian Culture, the exhibition aims to show the many forms of artistic creation produced in different times and places in the country. 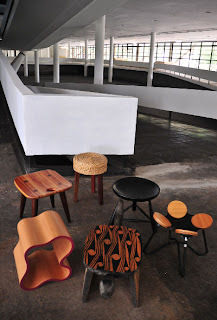 Organized into four modules, it brings works by artists like: Lina Bo Bardi, Bispo do Rosario, Di Cavalcanti, Victor Brecheret and anonymous people from indigenous tribes. Don't miss it! When: Tuesday to Sunday, from 9am till 5pm inauguration on April 11th. After a week of cold, the city of São Paulo must have temperatures a bit milder on Saturday and Sunday, mainly in the afternoon. The nights, however, remain frosty, with temperatures around 14 ° C.
Saturday is the maximum temperature of 23 ° C and Sunday, 24 ° C.
The days will be less rainy than in most of the previous week. The forecast for the next few days is showers in the evening and early morning. The sun should rise gradually in the coming days. Next week, pedestrians will receive a guide developed by the Police Department aiming to teach how to avoid pickpockets that constantly bother the neighborhood. 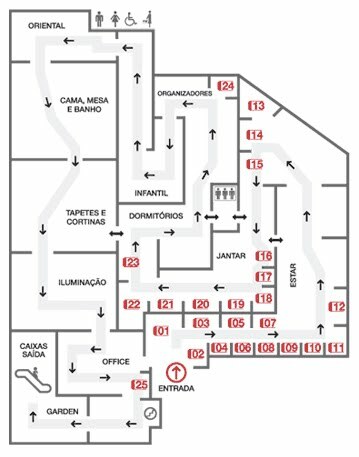 Pedestrians moving along Avenida Paulista will receive from the next week, a guide showing how to behave so it will be easier to avoid becoming victims of assault on the boulevard. About 49 thousand booklets will be delivered on 33 police stations throughout the region. In addition, the police will also distribute the guide in shops and hotels to teach security procedures to the staff. The four police stations addressed in the region of Paulista Avenue reported about two thefts a day in the region. According to the police, responsible for the brochure, the pedestrian's attitude is determinant for the bandit's action. People walking and talking on the phone, for example, are one of the main targets of criminals, a group formed usually by teenagers who live in abandoned houses and walking in pairs or bicycles. This year, seven people, including under eighteen people, were arrested red-handed by the Police on the avenue. Be careful but also don't be worried. It's safe but you have to be aware. Report via comment if something bad happened with you inside the city. It can be helpful to the people coming to visit the city. There is a box that has been circulating for the city's crowded areas. It does not call attention for its form or its vibrant colors, however, it carries an intriguing message. The box asks for an advice. The idea was of the designer Daniel Motta, 29. 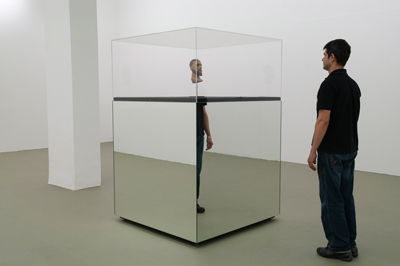 The box is carried around by Motta himself in strategic points of the city, such as Paulista Avenue, Ipiranga, the Park of Pinacoteca and the subway station Liberdade. In each place, a different reaction of the public measures the receptivity of the audience. 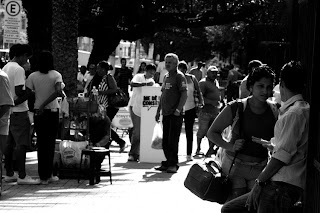 There is not much explanation behind the need of an advice - the owner of the box is always there, although he does not explain anything to the people, he is always lurking, photographing, recording people's reactions. The proposal is simple, but have you ever stopped to think about what advice would you give? The box will continue to circulate in 2010. Meanwhile, Daniel is also thinking about leaving it in galleries and cultural centers throughout the week. Besides spending more time exposed, the box would have a safe place to seek the valuable help. Something really interesting to do if you want to know better this huge country is to go to the exhibition “Cumplicidade – 20 anos de reportagem, 20 fotógrafos – Olhares para o Brasil e Brasileiros” (Complicity - 20 years of reporting, 20 photographers - Perspectives for Brazil and Brazilians) that will be open from 5th to 21st of April at the Centro Cultural do Conjunto Nacional. The exhibition organized by the journalist Bernardino Furtado, illustrates the memories of his trips in the interior of Brazil, with 20 photographers focusing on anonymous people, such as small farmers and workers in various regions of the country. The images were produced for reporting to the major newspapers of the country. For those who are visiting the city, love desserts but want to take some distance from sugar, we suggest to visit the Day By Diet a unique shop that opened in 1992 in the area of Jardins. The variety of dessert - more than fifty options - is enviable. Besides a large shelf where you can find industrial products such as biscuits, pasta and sauces, the store has many options of cakes developed by the nutritionist Flora Lys Spolidoro. From the traditional Brazilian sweet called brigadeiro to the most innovative recipe. We suggest to go there and have a try, you won't regret! The British band is back in Sao Paulo to present its latest hit, "Battle for the sun". It will be April 17th at the Credicard Hall, don't miss the chance to get your ticket! It's all True! 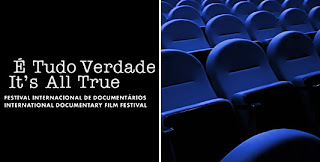 Documentary Festival inside Sao Paulo! The most important event devoted to the production of non-fiction in Latin America will start its 15th edition on April 8th. Every year around one hundred Brazilian and International documentaries, premières and classics, are screened for ten days simultaneously in São Paulo and Rio de Janeiro. Check out the program and don't miss the chance to take part to this great event that once more gives our city a reason to be known! 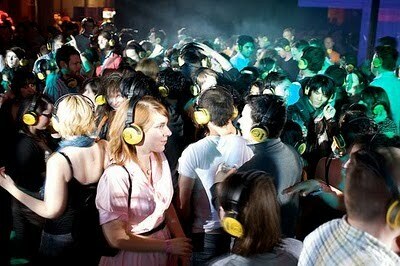 Nokia Silent Disco for free in a nightclub tonight. Check it out! The Nokia Company is organizing a Silent Disco for tonight aiming to spread its collection of more than six million songs (Nokia Music Store). Starting at 9pm, the Sonique nightclub receives the quietest event in the world. Interestingly, entering inside the bar you will get wireless headphones to choose among the available DJs that will be playing alive up there. For those who see from the outside, it looks like a bunch of crazy dancing without music. In time, the choices of DJs are: "Killer On The Dancefloor", "De chaps" and "Thiago Ney." When: April 6th, at 9pm. São Paulo is the largest city in Brazil, with its metropolitan area ranking fourth among the largest urban areas in the world. 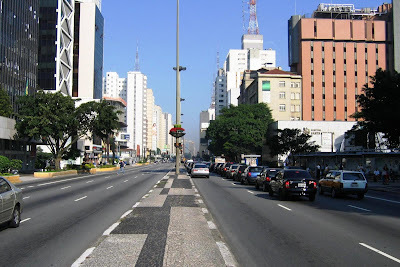 The city is the capital of the State of São Paulo, the most populous Brazilian state. It is also the richest city of Brazil. The name means Saint Paul in Portuguese. 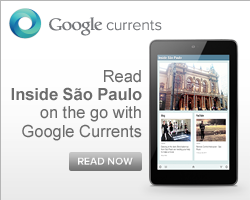 São Paulo exerts global influence in commerce and finance as well as arts and entertainment. The city has many renowned landmarks. The Immigrant's Hostel greeted millions of immigrants as they came to Brazil in the late 19th and early 20th centuries. 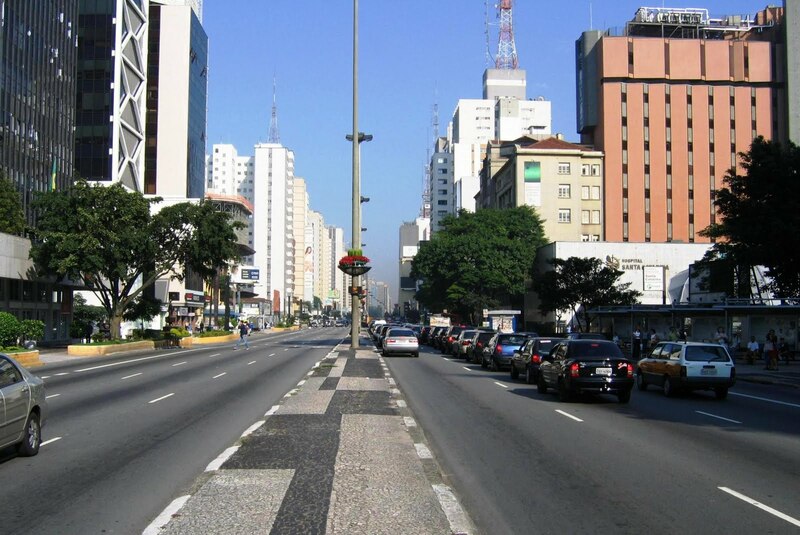 Paulista Avenue, in Downtown, is the most important financial center of the country and South America. The city is home to the São Paulo Stock Exchange (BOVESPA). São Paulo has been home to several of the tallest buildings in Brazil, including the Mirante do Vale Building. The city also lies at the center of the heavily urbanized São Paulo metropolitan area, which, with an estimated 19,616,060 people in 2008. 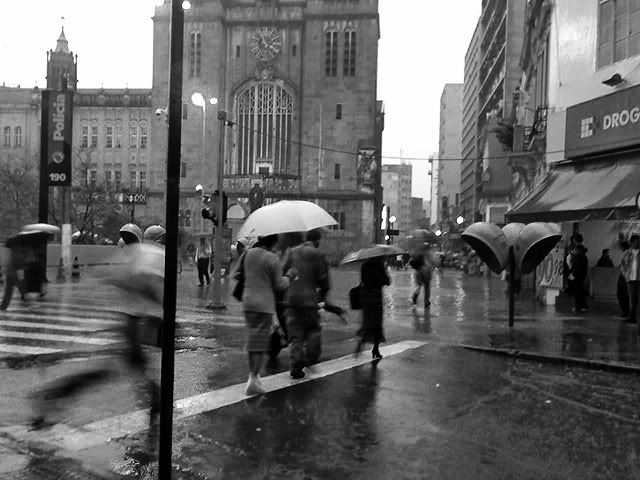 Starting today, Sao Paulo will increasingly get lower temperatures. Due to an approaching cold front, the expectation is that will be the first cold week of the autumn. The tendency is for cloudy weather until Thursday. For this Monday (April 5th), the higher temperature will be 23 °C. 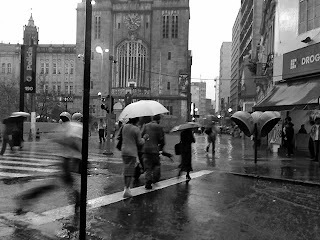 The rain should continue. 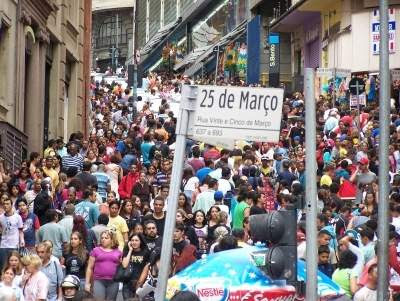 Last year, consumers spent more in the region of the Rua 25 de Março (25th of March) — located in the center of Sao Paulo —, than in the malls, according to a survey prepared by the agency TNS. 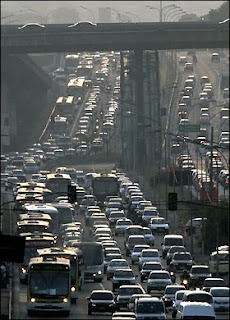 On the average, during 2009, it was spent R$ 193.45 on 25 March, against R$ 140 spent on shopping centers. The total turnover of the popular stores was estimated at R$ 17.646 billion last year. Malls sold R$ 69.7 billion in the same period. The luxury market is evaluated on R$ 1.6 billion per year, which 75% is concentrated in Sao Paulo. The middle class remains the most customers of the 25th of March Street, according to the survey, 56% of the public street are class A and B and 44%, Class C and D.
Exhibition of Italian artists at MuBe for free. Check it out! The Italian painters Mariantonietta Sulconese and Gigino Falconi, coming from Abruzzo, expose for the first time together (and also in Brazil), curated by Olivio Guedes. Altogether there are 30 works that occupy the MuBe - Brazilian Museum of Sculpture. Sulconese introduces the collection 'Hearts', consisting of 15 abstract paintings that show the relationships between form, light and color. Through their experiences, which generated the cycle entitled 'Morfogenesi', Sulconese got third place at XXV Sulmona Prize. Falconi, experienced painter, exhibits figurative works that represent the dream and the reality. When: Tuesday to Sunday, from 10am till 7pm. It ends on April 22nd. 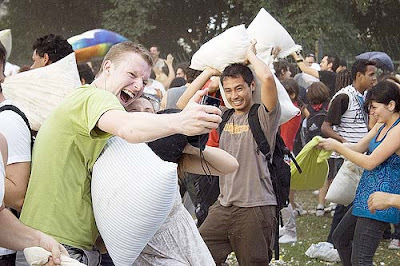 This Saturday will be the 2010 edition of the Pillow Fight in Sao Paulo. The war will happen in the Vale do Anhangabau at 5pm. 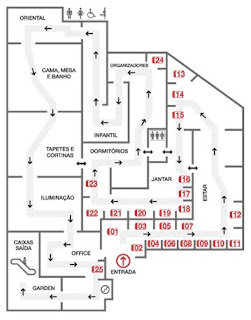 Three thousand participants are expected for the second edition held in Sao Paulo. 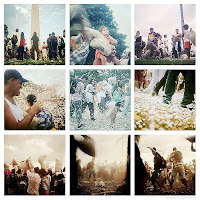 The World Pillow Fight Day has been celebrated every year since 2006, always on the first Saturday of April. Just as the WarTube, the event is organized by the portal MOBrasilNews.com and everything has been done via Internet. 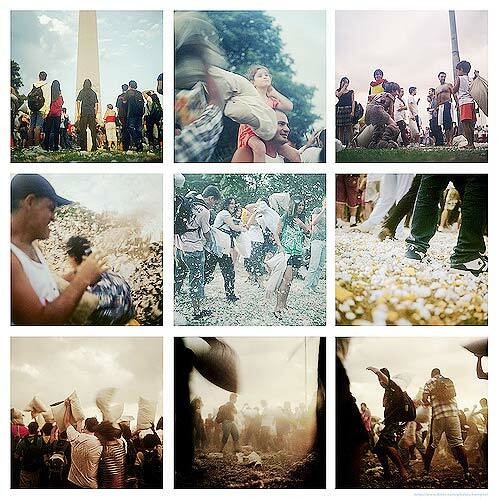 The first edition of the World Pillow Fight in Brazil took place in 2009 and about 3 thousand people participated at the same time spread in 27 Brazilian cities. About 30% of this people was fighting at the Ibirapuera's Obelisco. Despite it is a war, the event has a peaceful proposal and follow some rules and offers tips to avoid problems. The site cleanning is made by the participants themselves. Check out and join! When: April 3rd, at 5pm. How much: For free. Subscribe yourself clicking here. Today is the last chance to visit an amazing fashion bazaar. prices can reach 90% off! If you do not know, today is the last chance to visit the Reinaldo Lourenço bazaar. The shop offers hangers full of all sort of dresses, including cocktail dress, tank tops, shirts, shorts and shorts, plus lots of other things. Despite it's the last day of deal, still have many options that will make you beautiful and a bit poor. But just a little bit. The prices can reach 90% off! Such an occasion deserves a wide variety of excuses to go there. Think about it! When: Ends today (April 1st) from 10am to 8pm.